Getting a good IT job for freshers in this tough job market is really a big deal today. 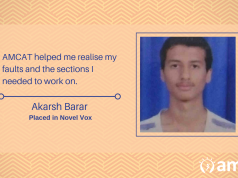 Let’s see how Balu managed to kick-start his career in the IT industry straight out of college. Balu: My name is Balu Mahendranath Saki. 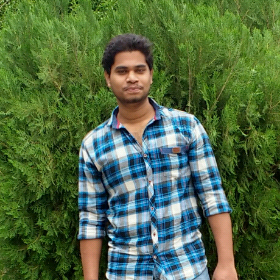 I have done B.tech in ECE stream. I want to gain expertise, learn and grow to climb up in the organization. Balu: When I completed my B. Tech I did not know how to get job. I thought it would be easy to get placed through campus, but in reality it was not. 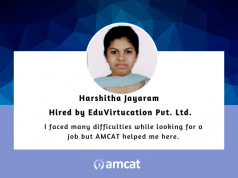 Aspiring Minds: Tell us about your experience post giving the AMCAT test and how AMCAT helped you in getting the IT job at Choose Portal Pvt Ltd? 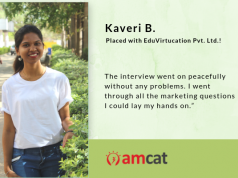 Balu: On my friend’s suggestion I took AMCAT, got good score and then got few calls from different companies including Choose portal. Then, I went for interview of Choose portal Pvt. Ltd where I got placed after multiple interview sessions. AMCAT is indeed one of the best platform for freshers. Balu: Yes, Absolutely. I won’t say it is the only but one of the best platform to get the job opportunities. Balu: Whatever you learn in your life, it would be helpful in some way or the other in future. So, never hesitate to learn something new, it might not help you at present but can be of great advantage in the future and try to be positive always. jobs in Choose Portal Pvt. Ltd.
For any queries, we recommend you to call our customer care.